Click the button below to add the Drafting Height Molded Plastic Chair [200-DK] to your wish list. When function is the most important factor in your seating purchase, the OFM Drafting Height Molded Plastic Chair is sure to please. The adjustable drafting stool with molded plastic seat and back is ideal for use in lab environments where it's important for chairs to be easy to clean. 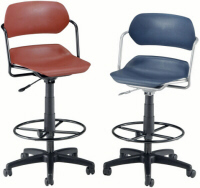 The design includes standard features such as a pneumatic seat height adjustment, a steel frame and a sturdy 5-star base. 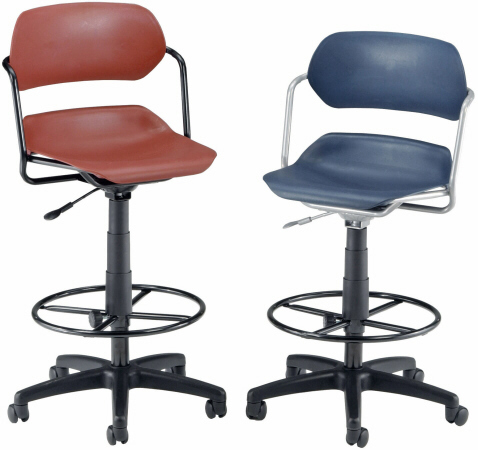 The molded plastic drafting chair is fit with wheeled casters so you can glide across the lab floor with ease. A limited lifetime warranty is included.